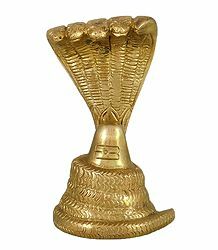 Shiva is also represented by the Linga. The Linga is made of black or white stone and is often rounded at both top and bottom. 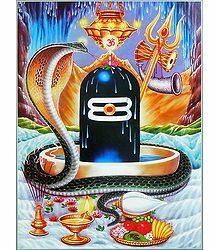 The Linga is one of the most popular and powerful symbols in Hinduism, next only to the symbol of Aum or Om. 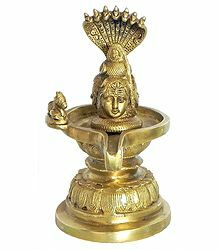 In most of the Indian temples which are dedicated to Lord Shiva, it is the Linga which is the main idol in the santum sanctorum instead of an idol in human form, which is the norm in the case of all other Hindu deities.